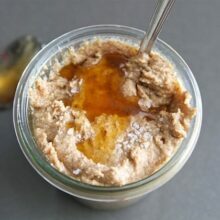 Peanut Butter Honey Yogurt Dip-this healthy three ingredient dip only takes five minutes to make and is always a hit! I think I’ve eaten an apple every day of my life since college. Well, besides my early pregnancy months. I couldn’t stomach much, not even apples. I am just testing out the old theory, “an apple a day keeps the doctor away.” So far so good since I rarely see the doctor. I am upping my game with this Peanut Butter Honey Yogurt Dip. 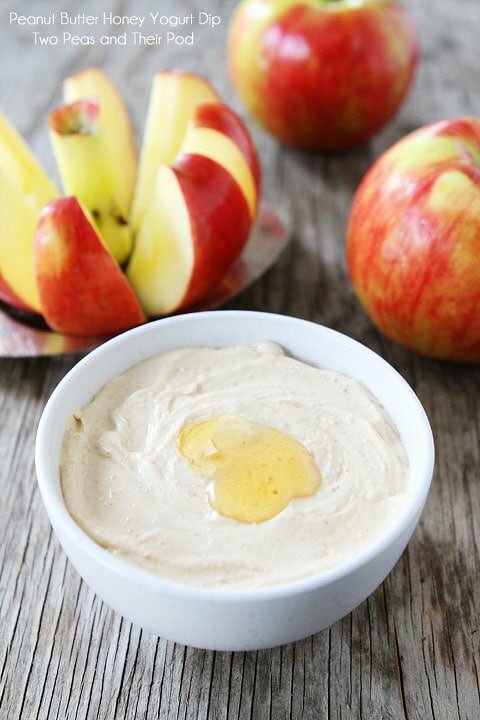 This dip makes me want to eat apples all day long! I wonder what two or three apples a day get you? 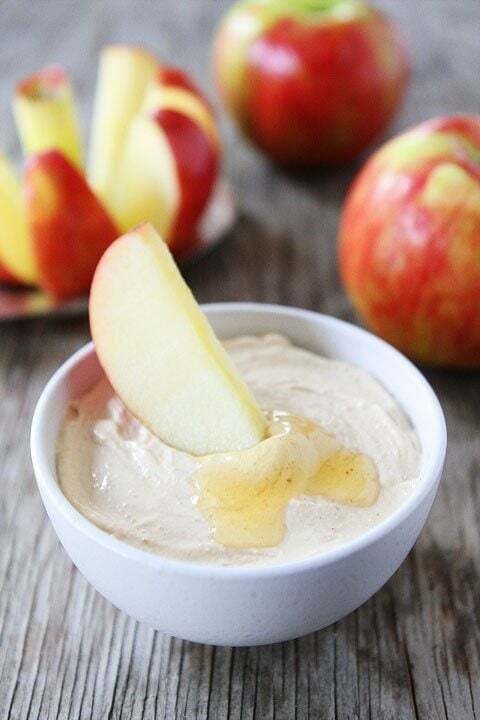 Apples paired with Peanut Butter Honey Yogurt Dip, I bet I will never be sick again. I think this dip has magical powers! The best part about this dip, besides it’s magical powers and it’s deliciousness, it’s SO easy to make. You only need three ingredients to whip up this dip: Greek yogurt, peanut butter, and honey. It’s as simple as that. If you can stir, you can make this dip! I use plain Greek yogurt, creamy natural peanut butter, and local Utah honey…it’s the best! I like to eat my Peanut Butter Honey Yogurt Dip with apple slices. Apples are SO good right now. I am on a Honeycrisp kick, but I hear there is a new apple in town. Has anyone tried the SweeTango apple? I haven’t, but it’s on my to do list. As soon as I find them, you better believe we are going to tango! Any apple goes well with this dip, so use your favorite! You can also serve the dip with graham crackers, cookies, or pretzels! Peanut Butter Honey Yogurt Dip makes a great snack or dessert! It will take you less than five minutes to make, so what are you waiting for? Get dipping! This creamy peanut butter honey yogurt dip only has 3 ingredients and takes 5 minutes to make! It is great with apple slices or any fruit! In a small bowl, combine Greek yogurt, peanut butter, and honey. Stir until combined and smooth. Serve with apple slices or other cut up fruit. Note-this dip is also great with graham crackers, pretzels, or cookies! This is one of my favorite ways to ‘stretch’ PB. You know, ‘water it down’ so that I don’t just mindlessly eat 8 tbsp out of the jar in like 5 mins. Love the sweet + creamy factor! What a fun idea for a healthy dip! I’m eating an apple a day so this dip will definitely come in very handy! I don’t think your dip could be any more perfect? I love it!! YUM! Totally trying this. You know I feel the same way about apples. I cannot get enough! It’d be so easy to keep these ingredients at work!! Perfect afternoon snack. Nice!! I’m impressed with your apple a day. I need to have more apples in my life! I’m pretty sure having a dip like this would help. 🙂 Delish!! I am right there with you! I have a least an apple a day these days! So good!! I think I might have two if I had this dip. Sound so good! 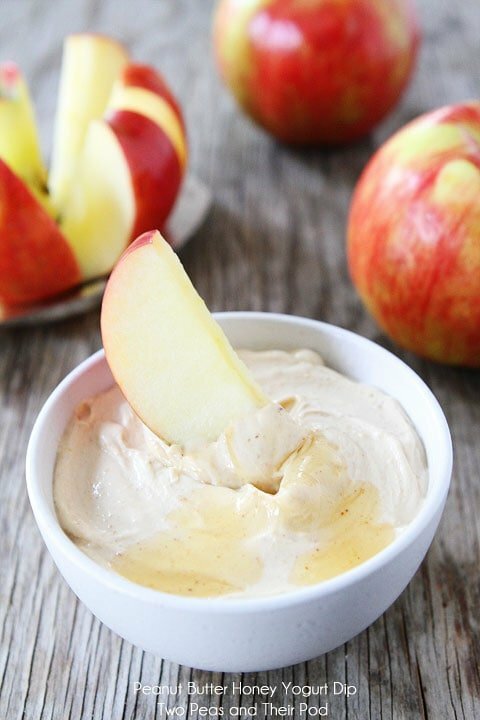 I am SO crazy about Honeycrisp Apples…this dip is calling my name!! 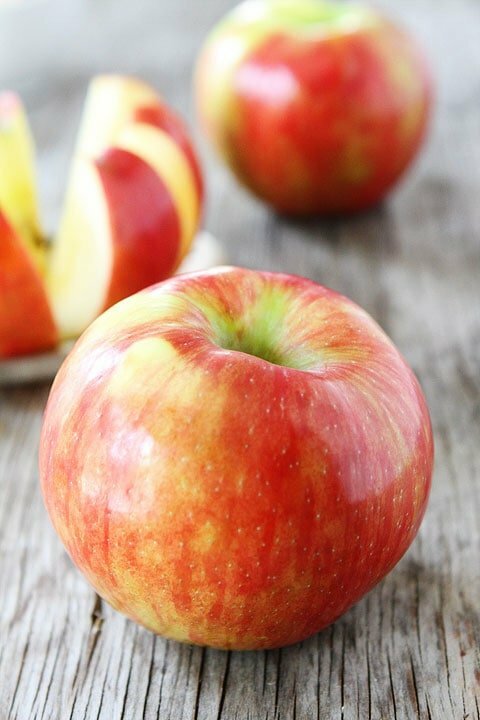 I am OBSESSED with Honeycrisp apples right now! They are truly off the charts this year- but this dip looks like a great way to take them a step further! I always eat Fuji apples and have never strayed to Honeycrisp…but I am thinking that has to change. I love everything about this dip! 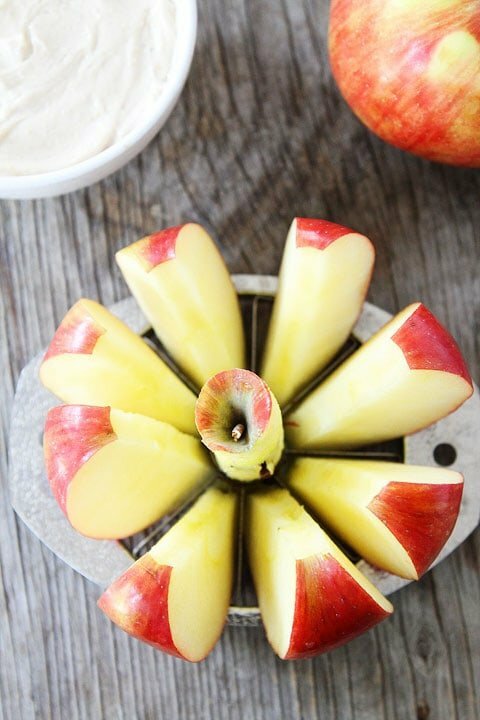 What a delicious way to eat apples! SO much healthier snack than eating junk food, even if the dip is a little sweet! I’m in the apple a day club – with a few breaks in between 🙂 I love everything about this dip!! And I tried a sweet tango at a producs conference last year – they’re great! I make overnight oatmeal with this combo – but I use PB2 instead. It is soooo good. Peanut butter and honey is my fave flavor combo – much better than jelly. I pretty much ate the exact same thing for breakfast this morning! I added mini chocolate chips to mine. I love this snack! It’s great! What a great dip for apples! So easy to make! I’ve got everything I need for it at home! Going to have to try this tonight! Love a yummy fruit dip! mmm!! I love peanut butter and honey. This dip sounds super delicious! I made this dip (or something similar, at least) a few years ago and promptly forgot about it. I read your post this morning and used your recipe to mix up some dip to serve with my son’s lunch today (and I just HAD to taste test, of course 😉 ) and it really is so simple and so very tasty! He really enjoyed it and it’s a nice treat instead of just the regular apple slices that he usually gets. Thanks for sharing the recipe! I eat an apple every day – or at least I try too! 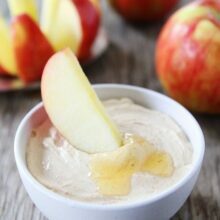 I’m smitten with this honey yogurt dip! So healthy and easy — my little guy will love this! Very impressive! I need to start eating more apples! 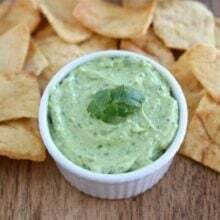 This is one of my favorite dips too! Some days I’ll do just peanut butter and honey and sometimes I add yogurt. So good! I received your email update with this recipe this morning whilst at work & realised I had all of the ingredients with me 🙂 I snuck out of my office to make this & just enjoyed a delish morning tea! Sending you thanks from Australia, Maria! So simple, but yet so perfect with an apple! I love the combination of peanut butter, apples and honey. What a simple yet flavorful combination. This will work for my kids’ after school snack as well as for the spouse wine and cheese I’m hosting soon. I can’t get over how tasty this looks! This would be so great for an Autumn party. In love with this flavorful sweet dip! Oh my. So simple, healthy and delicious! What a perfect combination – love it! What a perfect combo! I wonder if a few mini chocolate chips would be good, too! Holy Yum! Not only easy, but would appeal to kids and adults! I can’t wait to give it a try! I love peanut butter and honey together… so this dip sounds just perfect!! Yum!! This looks so simple and delicious! I have been eating a lot of apples lately, so this looks perfect right now! Love this! I’ll be making some in the morning for us to snack on the rest of the week and it will be perfect to put in Baker’s lunchbox to go with his apples and graham crackers! Yummy! Forget the apple slices and hand me a spoon! This looks so incredibly creamy and flavorful. YUM! Looks great! But, try with raw honey instead of processed! Has all the good stuff still in there. After making it for the first time last weekend, I’ve become obsessed with this dip! It’s delicious! This was really good. I made it as a dip for snackers who couldn’t wait for the Turkey to be done on TGiving day. Very nice way to stretch calories. Thank you for yet another winner recipe! My 3 yr old barely ever eats fruits and today I decided to serve her apple slices with this dip and MAGIC! She ate apples! Thanks! How long does it last in the fridge? I.e. if I make it today to go with my apple, can I have the rest tomorrow? The next day? Yes, you can keep it in the fridge for a few days. This looks delicious, and very healthy! Please…tell me how many calories is your Peanut Butter Honey Yogurt Dip per tablespoon. Thank you so much! Just made this and am really enjoying it. Perfect study snack! I was wondering if I could use your amazing photo of this finished product on my blog? I have a similar recipe that I have adapted to work with a nutritional plan I am on, but am in no way a food photographer. I would love to drive people back to your site, too, as your recipes are awesome! Thanks for sharing! I love this dip! It’s even good with a little cinnamon added to it. This is now my “after gym” snack. Ooomg, just made this and it is just Heaven! Finally I can eat fruit with lot’s more “peanut butter” , without shooting the calories to the roof! :D….THANK YOU FOR THIS! 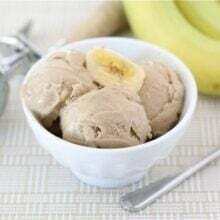 i know this is an old post, but do you think it would still be good with plain regular yogurt? You can use regular yogurt. Looks yummy. I will give it a try. So I just went downstairs to find something sweet to eat and, upon discovering that our halloween candy has finally gone bad (big surprise) I decided to make this. But I didn’t have my phone or laptop so I kinda just winged it. I remembered the 6oz greek yogurt, but since it was just for me, I cut it down to 3 oz. Threw in a tbs of peanut butter, a tbs of honey, cut up and apple and bam. Holy moly. It’s so good. And I only ate about half, so I have the other half for later. I think this is my new go-to sweet snack! In the year 2008 we have invented the Nut Butter Grinder Machine which can grind any types of nuts and seeds into paste. Example peanuts, sesame, cashew nuts, almond, walnut, pumpkin seeds. The machine can grind 100-120 kgs of nuts per hour. From nuts directs to paste without adding any other things like oil or water. Recently we have another machine which is the Finest Nut Butter Spinner Machine which can spin the paste to the finest and well mixture if the paste is mix with other ingredient. If you are interested please see our web-site http://www.feli.com.tw for more information. Please do not not hesitate to contact us if you have any enquiry. No.442-1,Sec,3, Mingzhi Rd, Taishan Dist. Pingback: Chystáš párty? Týchto 10 snackov pripravíš rýchlosťou blesku! This dip is SO delicious!! I’m not even a big fan of Greek yogurt and I love it!! Pingback: Peanut Butter Honey Yogurt Dip | This Recipe Works! My husband eats an apple a day with his lunch he has a half sandwich, yogurt, a palm full of nuts and an apple sliced. I made this for him as a treat and he loved it I haven’t made it for a while so I’m going to make it for him so he can have it this week. I tried it also… it’s amazing! This dip is so simple and a huge hit with the bigs AND the littles. I sprinkled a little cinnamon in which tastes great. This is a perfect way to get enough protein in my child’s diet. Will definitely be a go to dip for apples and other fruit from now on. I always get compliments on this dip and it’s so easy to make!! It is a favorite at our house too!